A bill proposed by Congressman Jim Banks (R-Indiana) directs the Department of Education to establish a program that would “provide children with parents on active duty in the uniformed services with funds for specified educational purposes.” The proposed law would allow military parents to establish Education Savings Accounts, which would enable them to use public funds for private school tuition, online learning programs, tutoring, etc. While ESAs are a good idea for everyone, they are especially important for military families, many of whom move around frequently, and should not be subjected to our stifling, antiquated, ZIP-code monopoly education system. Upon introducing the bill in March, Banks penned a piece for The Wall Street Journal in which he wrote, “A 2017 survey of Military Times readers showed that educational opportunities play an important role in determining whether a military family accepts a particular assignment — or even remains in the service at all. Thirty-five percent of service members have considered leaving the military because of the limited education options available, and 40% have either declined or would decline a career-advancing opportunity at a different installation if it meant their child would have to leave a high-performing school.” We cannot afford to lose our experienced soldiers for want of an easy fix. According to an EdChoice poll, 72 percent of military respondents were in favor of the ESA program, after having it described to them, while just 15 percent opposed it. The idea is not particularly new. The Senate Armed Services Committee considered a proposal to provide military families with tuition vouchers in 2009. While the idea enjoyed military support at the time, pressure from the powerful National Education Association helped quash the plan. In 2012, researcher Vicki Alger wrote a report for the Independent Women’s Forum in which she explained that military ESAs “would help expand education options for children without adding costs to national and state budgets, and by facilitating the use of private options rather than adding students to the public school rolls, they could reduce the burden on the state.” However, her sage advice didn’t lead anywhere. But of course, the most potent force to deny military ESAs is, again, NEA. On its website, the union refers to the bill as a “voucher scheme,” and an “enemy of public schools,” and proceeds to launch into a frothing-at-the mouth, turf-protecting tirade, painting anything outside the realm of unionized, government-run, zip-code mandated schools as the work of the devil – or worse – Betsy DeVos. NEA claims that the bill would have a devastating effect on school districts which rely on federal Impact Aid. But as Heritage Foundation senior policy analyst Jonathan Butcher points out, the most “heavily impacted” school districts would lose between a meager 0.18 percent and 1.83 percent of their federal revenue. One very perplexing part of NEA’s response to the soldier choice bill is the fact that the union has been a proud supporter of the G.I. Bill, the country’s first significant educational voucher program. Signed into law in 1944, the G.I. Bill is nothing more than a “choice” program for soldiers, allowing them to attend just about any college they want – public, private, religious or secular. In fact, not only has NEA been a supporter of the G.I Bill, but the NEA Legislative Commission worked for its passage in 1944. So NEA supports military vouchers for college, but not k-12. 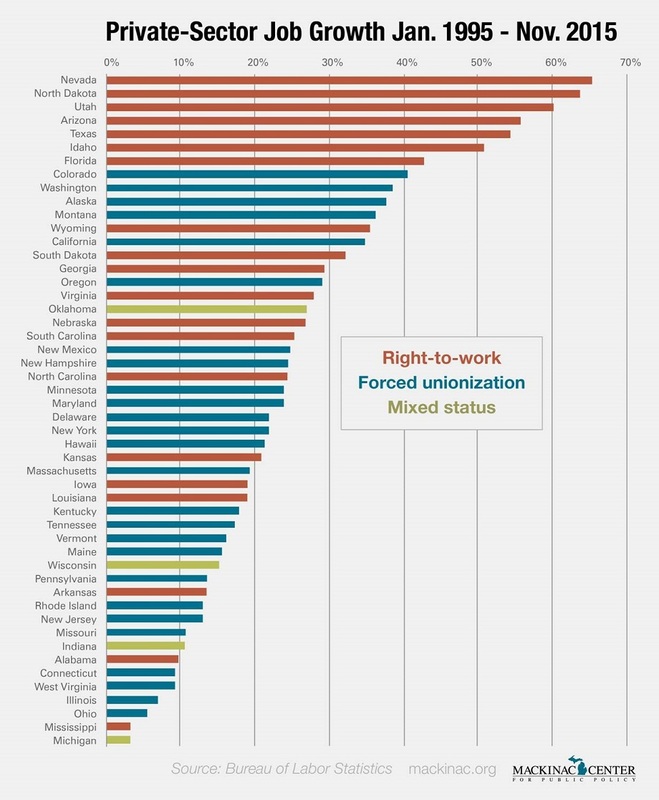 Maybe one day the union will get around to explaining this inconsistency. (Don’t hold your breath.) But in the meantime, Jim Banks’ bill should become law. The people who risk their lives to protect our country need educational freedom. It’s the very least we can do for them and their families. A nationwide shortage of teachers threatens quality education, according to the education establishment and its advocates in the media. But as with the population bomb, Y2K, and the devils of Loudon, the reality of the supposed crisis is quite different from its representation. A look at the data puts the situation into perspective. And it’s not only the teaching force that’s ballooning: the number of other school personnel has been expanding at an alarming pace as well. Researcher and economics professor Benjamin Scafidi found that, between 1950 and 2015, the number of teachers increased about 2.5 times as fast as the uptick in students. But even more outrageous is the fact that other education employees—administrators, aides, counselors, social workers— rose more than seven times the increase in students. Despite all this new staff, student academic achievement has stagnated—or even declined—over the past several decades. The myth that America suffers a scarcity of teachers is promulgated by the teachers’ unions and their supporters in the education establishment. On the California Teachers Association website, we read that “California will need an additional 100,000 teachers over the next decade.” But this statistic simply means that CTA expects about a 2.8 percent yearly attrition rate, and will need to hire 10,000 teachers per annum over a ten-year period to maintain current staffing levels—more of an actuarial projection than an alarming call for action. (The union adds that California must hire even more teachers to “reduce class size so teachers can devote more time to each student.” The claim that small class size benefits all students—another union promulgated myth—means more teachers, which translates to more dues money for the union.) In reality, California is following the national trend in overstaffing. According to the Legislative Analyst’s Office, California had 332,640 teachers in 2010. By 2015, there were 352,000. But the student population has been virtually flat, moving from 6.22 million in 2010 to 6.23 million in 2016. True, legitimate general shortages exist in some school districts, while other districts may lack teachers in certain areas of expertise, like science and technology. Workers in these fields can earn higher salaries in the private sector; one solution would be to pay experts in these subjects more than other teachers as a way to lure them into teaching. Unfortunately, that’s not possible: throughout much of the country, and certainly in California, salaries are rigorously defined by a teacher union-orchestrated step-and-column pay regimen, which allows no room for flexibility in teacher salaries. What’s necessary is to break up the unaccountable Big Government-Big Union education duopoly. More school choice, from privatization to charter schools, could go a long way toward solving the teacher glut. The government-education complex will always try to squeeze more money from the taxpayers, irrespective of student enrollment. Its greed has nothing to do with teacher shortages, small class sizes, educational equity, or any other rationale it can come up with: paramount to the interest of the educational bureaucracy is more jobs for administrators, and more dues money for the unions, which they use to buy and hold sway over school boards and legislators. While there is a surfeit of teachers and administrative staff, clarity and transparency regarding the reality of union control of the schools are scarce indeed. In a surreal political moment, California State Senators Henry Stern (D-Los Angeles) and Cathleen Galgiani (D-Stockton) have introduced the “Teacher Recruitment and Retention Act of 2017” which offers a novel incentive for teachers to remain in the profession. Senate Bill 807 would exempt California educators from paying the state income tax after five years on the job, in addition to allowing a tax deduction for the cost of attaining their teaching credential. If passed, the bill is estimated to cost the already burdened California taxpayers an additional $600 million a year. All this is transpiring because of an alleged teacher shortage. So, let’s see – if we indeed have a shortage, why exactly are districts laying off teachers? In Santa Ana, 287 teachers were just pink-slipped, essentially because the school district couldn’t afford to keep them. Seems that the Santa Ana Educators Association had pushed for and received an across-the-board 10 percent pay raise in 2015. The money had to come from somewhere, and it’s going to come from what would have been used to pay 287 of the newest hired, now soon to be laid off teachers. San Diego, facing a major deficit – much of it due to spiraling pension costs – is about to lay off about 900 recently hired teachers. In fact, these types of fiscal issues are burdening more and more school districts across the state. So I suppose one could argue that we have a teacher shortage because we are laying them off. But however you identify the problem, the way to solve it is to rejigger teacher union orchestrated state laws and teacher work rules that are mandated in a typical union contract, thereby attracting and maintaining the most talented teachers, rather than giving older, more senior ones – competent or not – more money. On the state level, defined benefit pensions for teachers, a union must, are causing school districts to go deep into the red and now the Golden (State) Goose is beginning to dry up. A great way to keep young teachers in the field – and ultimately save school districts and the state billions of dollars – would be to offer them a higher salary rather than way-down-the-road retirement benefits that many will never see. Also, a state issue, the union’s hideous seniority or “last in, first out” law, one of the statutes that Vergara judge Rolf Treu said “shocks the conscience,” is clearly a deterrent to promising young teachers. Why should a bright, enthusiastic, skilled 20-something enter a field where her worth isn’t appreciated? She knows that no matter how good she is, come tough fiscal times, her job may very well disappear. So she would rather go into a field where her abilities are truly appreciated, and the quality of her work matters more than the number of years she has been employed. Locally, the unions keep talented teachers from entering and staying in the profession by insisting on a quality-blind way of paying them. In just about every district in the state, public school teachers are part of an industrial style “step and column” salary regimen, which treats them as interchangeable widgets. They get salary increases for the number of years they work, and for taking (usually meaningless) professional development classes. Great teachers are worth more – a lot more – and should receive higher pay than their less capable colleagues. But they don’t. Also, if a district is short on science teachers, it’s only logical to pay them more than other teachers whose fields are over-populated. But, of course, stifling union contracts don’t allow for this kind of flexibility. Another local way to promote and pay great teachers is to get beyond the smaller-classes-are-always-better myth. To be sure small class-size does help some kids, but for most it matters not a whit. In fact, some kids – like me – did better in bigger classes. But, thanks to union lobbying for more dues-paying members, class sizes are kept small. In fact, as Mike Antonucci writes, “Since 1921 (nationally) we have almost quintupled the number of teachers, more than quintupled the average teacher salary in inflation-adjusted dollars, and also cut the student-teacher ratio in half.” In California, the student-teacher ratio is currently under 20:1. Yet on the 2015 NAEP test, California’s 4th graders ranked 49th in the country in reading and 48th in math. So school districts should be able to give great teachers a stipend and add a few kids to their classes. That would net more quality teachers and higher achieving students at a lower cost to the taxpayers, but the unions won’t allow it. To achieve badly needed education reforms in California, state legislators and local school board members must stand up to the powerful teachers unions. Until then, all we are doing – SB 807 being the latest example – is putting a heavy coat of lipstick on a bloated tax-sucking pig. “Post Traumatic Trump Disorder” is a condition affecting an abundance of Americans these days. Many of the president-elect’s supporters are “suffering” from excessive jubilance, while many of his detractors are in the depths of despair. As I pointed out recently in UnionWatch and City Journal, the latter PTTD group is making life miserable for children across the country. But Los Angeles just may be ground zero for the new disorder. Nothing like a little early morning shot of teacher-led political indoctrination that the kiddos can digest along with their Rice Krispies. Actually, the early morning festivities on Jan. 19 are really just a kick off for what Caputo-Pearl sees as a two-year offensive. (“Offensive” has two meanings here.) The issues that are paramount to the union boss are “green spaces on a campus … a plan to achieve strike readiness by February 2018,” as well as fighting charter co-location and getting union acolytes elected to the school board in March. As the teachers union goes off the deep end, what is the Los Angeles school district up to? Not surprisingly, the school board, suffering from advanced PTTD, is in a state of sheer panic. The mandarins who rule over the massive school district have set up a hotline to answer student questions as a way to deal with the regnant hysteria. While Trump has indeed made some questionable comments about immigration, the education establishment and a compliant media have blown things way out of proportion and worried many children needlessly. As such, the school board has absolutely no business dealing with frightened children; let their parents do that, please. The school board members also spent time at a recent meeting passing resolutions as a hedge against actions that they think the Trump administration may take. Consulting “social-emotional learning experts” and declaring its schools “safe zones” are of paramount importance to them these days. Actually, if anyone needs a “safe zone” at this time, it’s students who dare to wear “Make America Great Again” hats. Maybe the school board should instead focus on its mandate, which is to educate children and, at the same time, be judicious in how it spends the taxpayers’ money. Fiscally, LAUSD also deserves a “1.” As reported by LA School Report earlier this month, the district may not be able to meet its financial obligations in the future because it faces a cumulative deficit of $1.46 billion through the 2018-2019 school year. But LAUSD Chief Financial Officer Megan Reilly, maintaining a smiley face, assures us that with just the right combination of smoke and mirrors, the district may be able to winnow the deficit down to a mere $252 million. Don’t bet the barn on that, however. So let’s see, in Los Angeles we have a radical union leader, hell-bent on indoctrinating kids, an inept school board whose actions are frightening children, all the while seriously maiming taxpayers, and doing nothing to ameliorate its abysmal record of educating children. Worse than anything Donald Trump ever said, the backlash to his election has been horrifying. While the hysteria and teddy-bear-clutching over the election of a Republican president is nothing new – remember “Bushitler?” in which some on the left equated W to Der Führer – the present-day Trumphobes are second to none. In Los Angeles, the teachers union, stressing the “politics of fear, racism and misogyny,” supported students who skipped school on November 14th to protest the election. “As educators, as people spending every day with students and caring about each student’s future, we believe we have a sacred role in times like these….” the union said in a statement. And if you care so much about the students’ future, please don’t encourage them skip school for a useless protest. Late afternoon and weekend venting would be just as effective. The rest of this repulsive lesson plan continues in this vein and should be read in its entirety to fully appreciate its blatant intention to indoctrinate. While teachers are free to accept or reject the lesson plan, the fact that some will use any or all of it is truly alarming. Alabama: An 8th grader was paddled by the assistant principal for writing “Trump” on the blackboard, allegedly because the time for discussing the election had passed. However I can’t help but think that if the student had written F— Trump on the blackboard, he may have gotten a high five instead of a beating. Maryland: A bunch of anti-Trump students severely beat up a classmate who had the temerity to sport a “Make America Great Again” cap. The frenzied and ironically-challenged perpetrators were ditching school and carrying signs reading, “Love Trumps Hate.” I guess peace and love just ain’t what it used to be. We owe it to our young people to tell them that the election is a done deal and all the acting out, whining, marching and screaming, “He’s not my president!” won’t change a damn thing. While kids often do silly things, the scary part is that, in this case, they have support from many teachers and their unions. They, along with a compliant media, are fanning unnecessary flames and ratcheting up the indoctrination of our kids. As Rick Hess and Chester Finn wrote in “Stop Teaching Anti-Trump Bias,” a must-read piece in U.S. News & World Report, the election could have been a “teachable moment.” Teachers could have educated their students about how the Electoral College works or the great tradition our country has for a peaceful transfer of power. They could have suggested that their students follow the advice of President Obama, who said that we should give Trump a chance. But sadly, all too often, none of this is happening. In fact, notorious America-hater and author of “A People’s History of the United States” Howard Zinn’s philosophy often reigns supreme in our classrooms: “Objectivity is impossible and it is also undesirable.” Zinn felt that the teaching of history “should serve society in some way.” As a Marxist, he’d prefer a society that resembles Stalin’s Russia. That his book is assigned reading in many colleges and high schools is a red flag – in both senses of the term. Just remember that as you stuff your face with turkey, Paleface! The unions and the media constantly browbeat us into thinking that there has been an epidemic of hate crimes, all of which have come to pass because of Trump’s nomination and subsequent victory. What they don’t comprehend is that their vicious anti-Trump propaganda is so much more devastating than any isolated bullying due to anything Trump has ever said or done. In the spirit of full disclosure, I am no fan of Donald Trump. In fact, of the 17 Republican candidates, he was my 18th choice. That said, the people have spoken. Now grow up and deal with it. Previously published at Union Watch.